Until we have some actual Steelers-related things upon which to report, I’m just going to throw a few scary thoughts out there from the Week 8 games. 2. The Bengals were part of the second tie in the span of slightly under a week. This particular tie took place in London, so perhaps it doesn’t fully count, but considering how rare ties are, that’s kind of weird. Their record is now 3-4-1. I have written a number of articles through the years on the psychological aspects of performance in high-pressure situations, especially as it relates to kickers. As pointed out by Tim Booth, this week’s Sunday night game provides a tailor-made case study of an aspect of it I haven’t covered quite as much—how the reaction of a kicker’s coach after the fact affects them in the coming attempts. Last year I did an elaborate bye week post calculating all sorts of win percentages for various teams and so forth. You can read the whole thing here if you so desire, but I’m going repeat some of the information and add last season’s figures to the chart, so you might not want to bother. Several years ago, the ESPN NFL pregame show, “NFL Countdown,” decided to add Rush Limbaugh to its lineup. It wasn’t long thereafter that Limbaugh offered, in his humble opinion, that Philadelphia Eagles quarterback Donovan McNabb was overrated (Okay, so far, so good, opinions of all kinds are allowed), because (Wait for it), he was placed in his position because of affirmative action. The reaction was nuclear. Limbaugh left ESPN not long thereafter. At the time, I couldn’t believe that Limbaugh could be that stupid. Yes, that was his schtick, but how could he not understand that this was a broader audience who came to sports to get away from that sort of thing, at least for a few hours? The apocalypse that was to be Landry Jones starting against the Patriots did not quite come to pass, although the Steelers still got Gronked to the tune of 27-16. They enter their bye week with a 4-3 record, hoping to return to full health before facing the Ravens. 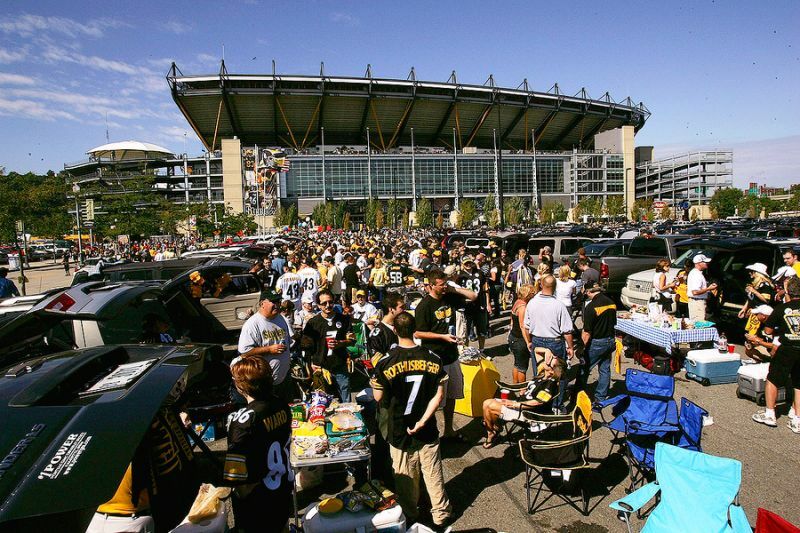 But before we can contemplate a trip to Charm City, this corner of Steelers Nation must first grapple with these 5 Smoldering Questions. 1. Landry Jones’ end zone interception was no doubt costly. However, Antonio Brown has taken heat for not doing more to contest the Malcolm Butler’s interception. Do you think such criticism of Brown is justified, or is this a case of the ball being underthrown and Bulter having excellent position? 2. Last week we asked if there was a potential Red Flag raised by some of Antonio Brown’s comments. 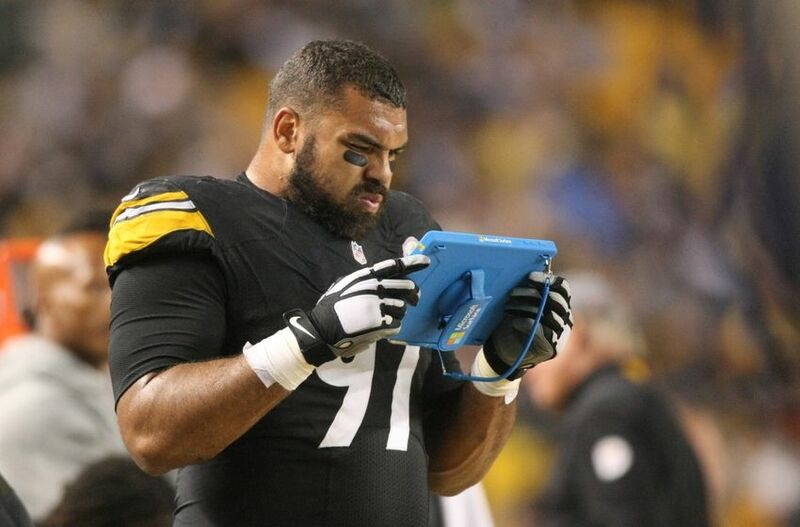 This week we turn to our attention to Cameron Heyward, who criticized his teammates for quitting. Do you think that Cam Heyward is leveling a fair criticism at the rest of the locker room, and if you think it is, is Heyward right to voice such concerns in public? Can you make sense of that with the naked eye? OK, here’s the decryption code: In the last two season the Steelers have give up 123, 72, 222 and 140 yards rushing in the four games missed by either Stephon Tuitt or Cameron Heyward, all of which were losses. Is this just coincidence, or is there an “X” factor that either of these two men bring to the defense? Please note, remember to save your work because part 3b to this question comes next week! 4. Neither Mike Tomlin nor any of the members of the Steelers locker room were ready to accept any moral victories after the Patriots game. Good for them. Fans however, do have some luxuries not afforded to the pros. 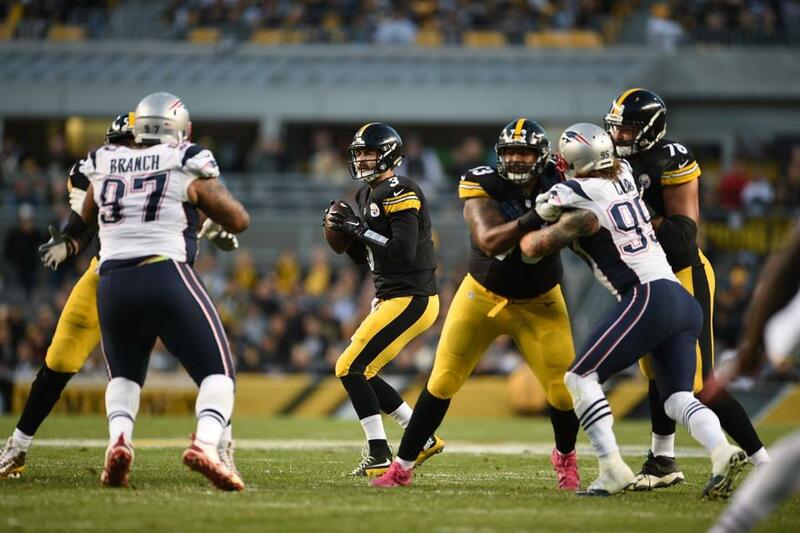 In that sense, do you take anything positive away from the Patriots game, or was it simply a case of missed opportunities that will hurt the Steelers down the road? 5. Several years ago, in this column’s predecessor, I shared a time when I (sort of) jokingly implied that a friend should schedule a trip to France to propose to his girlfriend around the Steelers bye week, and asked readers if they’d ever planned a major life event around the Steelers bye week. Waited for a bye week to kick my girlfriend out once. Sundays were the only day we were both home for extended periods., and I didn’t want to deal with during a game. I know, i know..I’m horrible, but that was a long time coming. She was a very stressful person to be around at that time. I also needed another check to by a new TV, we used hers when mine broke. Since then we’ve invited readers to top “Wycheck’s” story. Now you get your chance, either with your own experience or one you know about. My apologies to Hombre and all of you – the post was incorrectly schedules for tomorrow and I just noticed. I’m afraid I haven’t had the time to have many second thoughts about the game. I’m getting ready to catch a plane and all that entails, and there just wasn’t time to review the tape. But I do have a few more thoughts, in a sort of “Good News, Bad News” format. But first, here is a link to Hombre de Acero’s writeup of the game. He gives lots of stuff to chew on, and some really interesting perspectives. Do check it out.